Invasion events take place in January, April, July, and November and involve a variety of venues in and around Detroit. 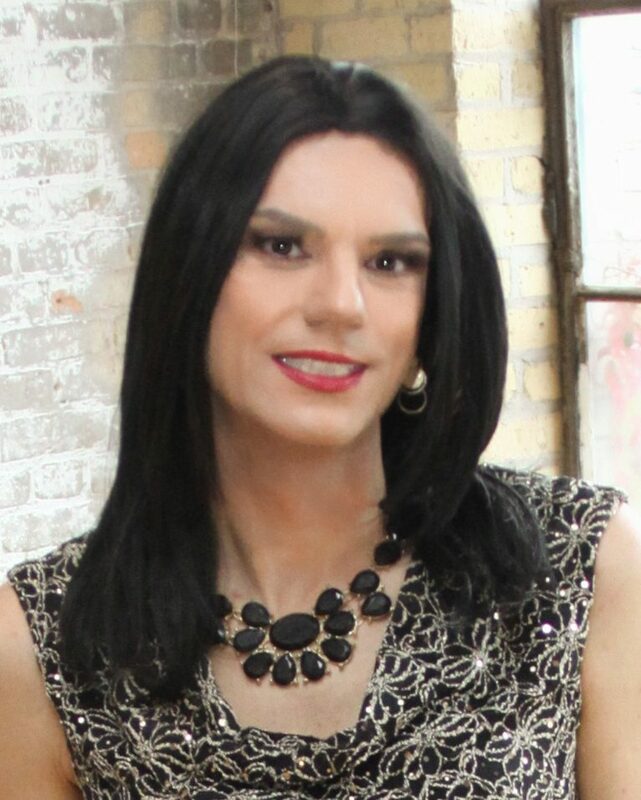 These extended weekend gatherings are designed as purely social events open to all crossdressers, transexuals, admirers, and allies. Participants include visitors from NYC, Philadelphia, Atlanta, Dallas, Saint Louis, Milwaukee, Chicago, Indianapolis, Toronto, Cleveland, Cincinnati, Columbus, Toledo, West Virginia and more, as well as drawing extensively from the large and very active local Detroit and greater Michigan TG community. We are lucky to have Nicole share her adventures and pictures. I was offered the opportunity to share my most recent travel adventure here. I accepted. I recently viewed a video of comedian/actor Will Smith talking about fears. He was talking about jumping out of an airplane, not himself specifically, but just “a guy” who agreed with friends to do this fearful act. Why couldn’t this guy sleep the night before the jump? He was nowhere near an airplane yet. Why was he afraid when he arrived at the airport to meet his friends. They weren’t in the airplane yet. Then following the jump, the guy was in a state of euphoria. I can equate this to my personal history with being a t-girl. I was in the closet. Why was I so scared of “jumping” out the door? And once I did step out the door…euphoria. The basic message. Bliss comes on the other side of our biggest fears. So, now, not only do I go out, but I, as Nicole, started traveling. My travels always start with planning. Since I don’t travel for business, it’s my personal vacation time being used. I start a couple months ahead of time by notifying a few friends that I am coming their way and hopefully we will have an opportunity to get together. My most recent travels took me to Chicago and Detroit. I left the Twin Cities on Tuesday, April 18, 2017. Why a Tuesday, especially the third Tuesday. Well, after my six hour drive to the Chicago suburb of Arlington Heights,IL, I checked in to my hotel, notified my friends that I had arrived, and started doing my makeup. We’re going out. There is a woman, Rori, owner of Transformations By Rori, who hosts a t-party on the third Tuesday of every month. It’s at mainstream Big Shot piano bar. I have attended at least six times, maybe a couple more. During the evening, there can be 15-30 t-girls come and go, or stay for the duration. There’s dinner available, cocktails, and a wonderful piano player for entertainment. It’s a wonderful social opportunity for girls to meet and get to know other girls. Wednesday I moved southward. I had a hotel room in Alsip, IL, an hour from Arlington Heights. This made my trip to see girlfriends at Club Krave, a small corner bar in Blue Island, IL, a short drive. While the bar may be small, the hearts of the girls who frequent it aren’t. They welcome me as if I were one of the regulars. Wednesday night is karaoke night at Krave, so there tend to be 6-12 girls singing any given week. I don’t sing myself, but having met the girls at Club Krave makes me smile. Two nights down. Still more fun to be had. Thursday morning, April 20, I applied my makeup, put on a dress and drove four hours from Alsip, to Dearborn, Michigan. I had registered to participate for a second time in Detroit Invasion(www.tgdetroit.com). Invasion is a three night social gathering that is held four times a year. Don’t confuse this with any transgender conference event. This one is pure social time…ok, it’s a party, lol. What it really is, is an experience. Ladies from all over attend…Detroit locals, outstate Michigan, Ohio, Indiana, Illinois, Tennessee, North Carolina, Georgia, Wisconsin,and of course Minnesota(me, lol). And Canada too. I had the pleasure of sharing a hotel room with Stephanie, a girl from Cincinnati, OH. She and I had met twice previously. The first time I met Stephanie was when she visited the Twin Cities for business. She found me on Facebook, asking if there were places where a girl could go out. Not only did I say yes there are, but she allowed me to join her and show her. Coincidentally, the first thing we did was enjoy a dinner out with Hannah’s MN T-Girls. First night in Detroit was a meet and greet at a LGBT bar named Adam’s Apple. It’s the starting point for all three nights. Approximately 20 of us then went to dinner at a lovely restaurant called Big Fish. Delicious! We then returned to Adam’s Apple for the remainder of the evening. Friday night’s main event was a pub crawl. After congregating at the Adam’s Apple, we boarded a bus and made three stops. First was The Whitney, a historical lumber baron mansion turned into a restaurant and bar. A classy place where we were fortunate that they could accommodate a group our size. We then stopped in an alley. What? Yes, basically it was an alley. Cool place though. Numerous small venues…bars and eateries. We stopped at two bars along there for cocktails.The final stop of the crawl was in Ferndale. There are multiple clubs/bars in that area within walking distance of the drop point. I spent my time with numerous friends at Orchid, a dance club. Enjoyed a few cocktails and even danced. The daytime on Saturday was very low key, casual. Lingered around the hotel lobby a bit. Stephanie and I then went to a TGIFriday’s for lunch. A small group of girls went to the Henry Ford Museum compound. While I didn’t go, I did hear that it is a excellent place to check out. Saturday night’s main event was a bus trip to the MGM Grand Casino in Detroit. It’s the grand finale of the weekend. Once through security, we all make our way, parading towards the lounge in the center of the casino as one large group. I’ve never seen so many heads turn, especially by people who are gambling. But a minute later, they are all back to doing their thing and we are doing ours, which is enjoying the live band in the lounge and dancing. Sunday morning, it was breakfast and goodbyes. One girl was having difficulties getting a taxi or Uber to the bar, where she had left her vehicle the previous night. I gave her a ride to get the vehicle, then headed back to Chicago, where I spent one more night before returning to Minnesota. 1448 miles later, I was home again, needing a vacation from my vacation. Seven days, six nights traveling as Nicole, seeing old friends and making new friends. And missing my local friends. What could be better? Not much in my view. This is one trip, one view. But as you read this, I hope you understand something…I was not alone. YOU are not alone. Our community doesn’t exist just here or just there. There are girls like us, friends to be made, all around the globe. This was just two cities, yet one community.